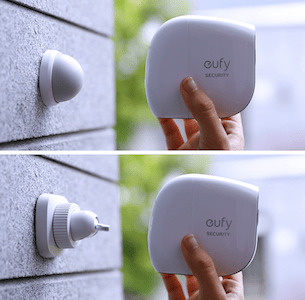 Is eufyCam E easy to mount? 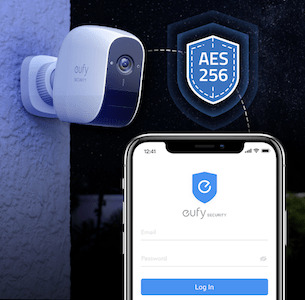 eufyCam E is incredibly easy to mount! You can mount eufyCam E using the magnetic mount or screw mount. 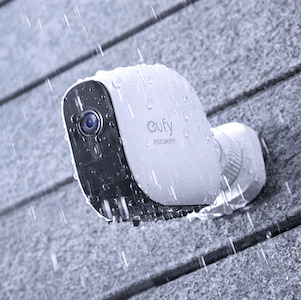 With the magnetic mount, eufyCam E just snaps on in a second. 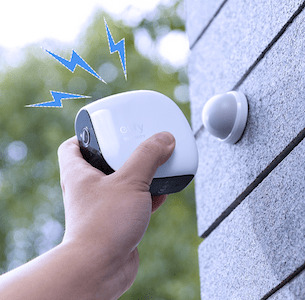 If the camera is removed without authorization, the anti-theft alarm will go off. How far away can I place eufyCam E from the HomeBase? 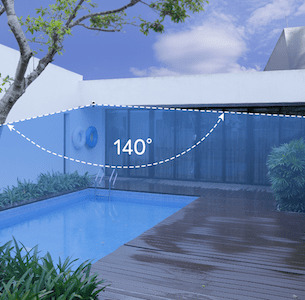 The distance depends on what the walls are made of, and the number of walls and obstacles between eufyCam E and the HomeBase. 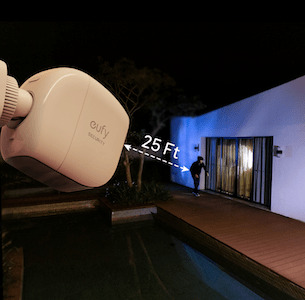 eufyCam E is engineered to stream video smoothly at a distance of 300 ft if it has a direct line-of-sight with the HomeBase. In our US-based beta runs, the system worked well in 3000-sq ft houses. What conditions enable 1-year battery life on one charge? Battery life varies but it mainly depends on the number of motions detected and duration of recording time per video. For the most common usage scenario of up to 20 events a day at 15 seconds per video, battery life can run one year per charge. 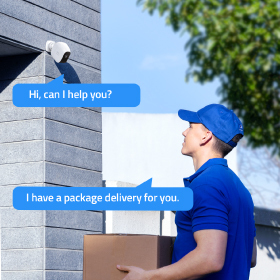 You can also select from two operation modes (Best Battery Life and Best Surveillance) to select the best surveillance usage according to your needs. How long can the included 16GB microSD card store video clips? For the most common usage scenario of up to 20 events a day at 15 seconds per video, the 16GB microSD card can store up to 1-year’s worth of video clips for a single camera. According to this calculation, if your eufy Security system has 2 cameras, a 16GB card could store 6 months of videos. If your system includes more than 2 cameras, or you want to expand storage capacity, you can upgrade to a higher-capacity microSD card. The system supports Class 10 cards and capacities up to 128GB. A cloud storage service is available, which you can purchase in the EufySecurity app. Storage for one camera starts at $2.99 per month.